There’s an area of land sandwiched in between the continents of Asia and Europe, called Eurasia. Armenia is a small, mountainous country located in that area. It is in Asia, very near Europe. (See it on a map here.) 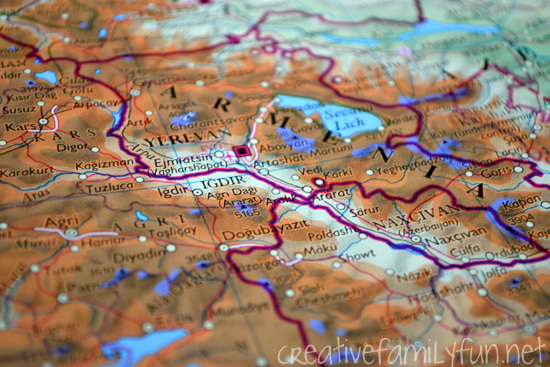 Armenia was a part of the former Soviet Union after being taken over by Russia following World War I. The modern Republic of Armenia gained its independence in 1991. For our artistic inspiration, we went far back in history, way before World War I. Every time I went searching for Armenian art, I discovered illuminated manuscripts. While not exclusive to Armenia, I found many wonderful Armenian examples. Here is an illustrated version of the Armenian alphabet done in the style of illuminated manuscripts. The Armenian alphabet is also unique with a rich history. It was created in 405 A.D. You can read about the history here. The written word and beautifully illustrated versions are an important part of Armenia’s history. 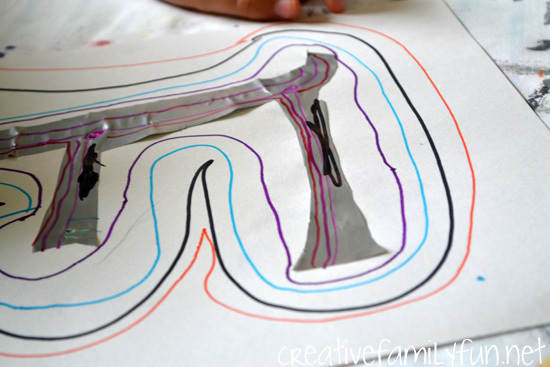 We used this inspiration to create illustrated versions of our initials. We started by cutting out our initials from wrapping paper. We were looking for something fancy and shiny. We settled on the silver wrapping paper we found in our closet. 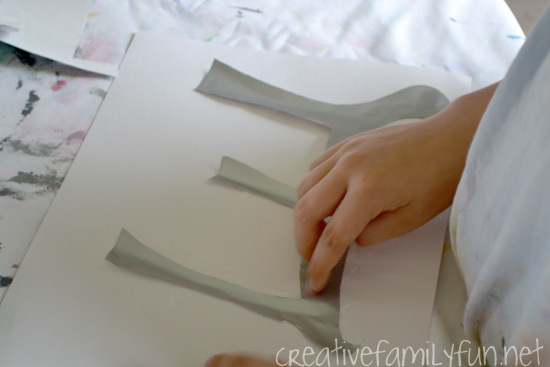 After cutting out the initials, we glued them down to plain white paper. 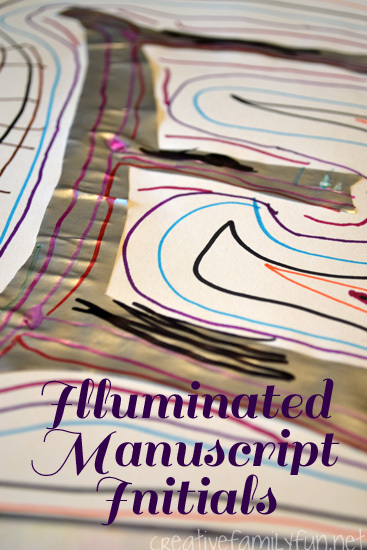 If you don’t have fancy wrapping paper, you could also use scrapbook paper, construction paper, or magazine pages. I wouldn’t recommend aluminum foil as it won’t glue down to the white paper. 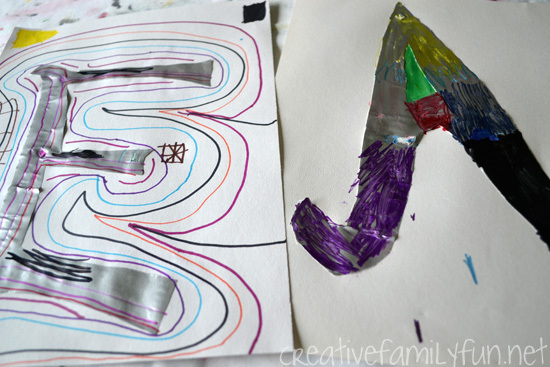 We used our collection of Sharpies to decorate our initials. I wasn’t sure if the washable markers would work on the shiny wrapping paper, so we went with the permanent markers. They worked perfectly! The girls decorated their initials and they decorated the paper surrounding the initials, just like some of the pictures we viewed. After we were done, we got more paper and made more initials. It was fun to see how fancy we could make them! It has been such a valuable experience to explore the world through art. The girls missed it while we took a short break for the busy, busy month of May. We’re eager to start exploring again! 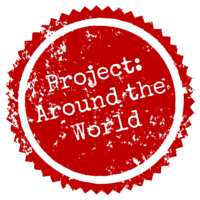 Thanks for coming along on our virtual trip to Armenia with Project: Around the World. Click here for all the projects we’ve done so far or on the button below.